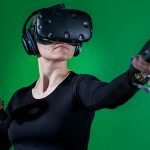 Hello world, it’s Friday, August 18 and just like every other Friday, it’s time for our weekly tech news round up. This week’s news covers Facebook getting a redesign, Essential Phone finally becomes available to order, Google working on a new version of the search app, Motorola working on a self-healing screen technology, Google acquiring AIMatter, Google Allo comes to the web, and Apple’s new iOS 11 feature to avoid cops to enter your iPhone. That’s a lot of tech goodness to cover so without any more delays, let’s get right into it. Every now and then a software service that you use regularly undergoes a redesign in favor of better visuals, accessibility, and other such factors. For Facebook, the social network which now boasts well over 2 Billion users, the design is of paramount importance. Bad design can get in the way of content consumption and provide a bad UX and for such a large user base, Facebook certainly doesn’t want that. This week the social network underwent a pretty radical redesign across its web and mobile presence. First significant change you’d notice is the absence of a lot of the previous “blue” elements from the service. 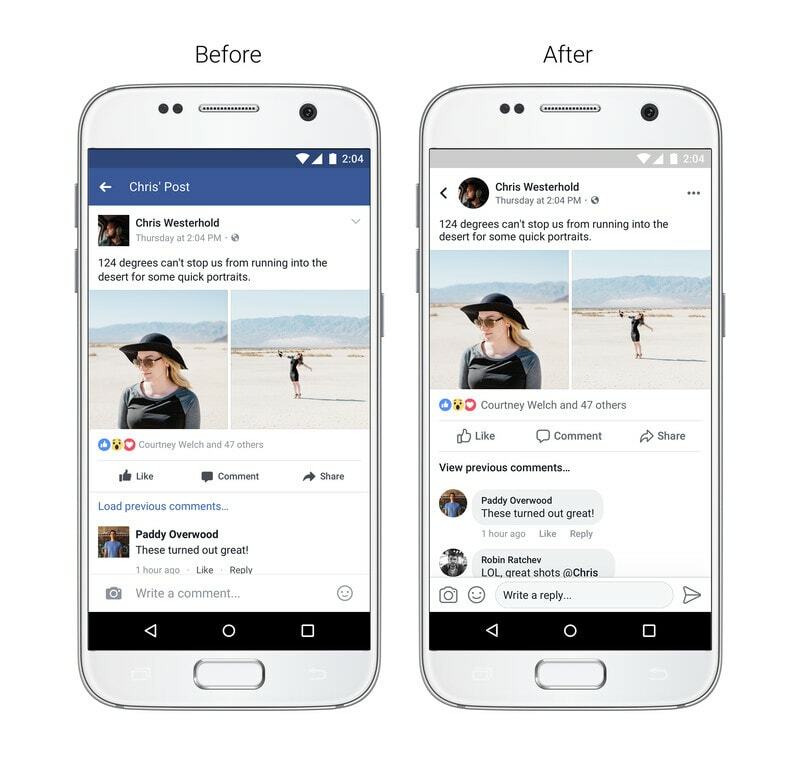 This provides an overall cleaner look and tries bringing all Facebook products under an “almost” unified design language. Another noticeable and significant change happens to be comment threads, they will now look more conversational compared to their older version which was a simple list. It’s done to make it easier to follow up on conversations within the comments. Last but not the least, the profile pictures on Facebook are finally round. Overall the redesign makes things look a lot more cleaner on the service. Other minor changes come to the profile page and link previews. The redesign is active on the web and should be available on mobile in the coming weeks so watch out for an update. 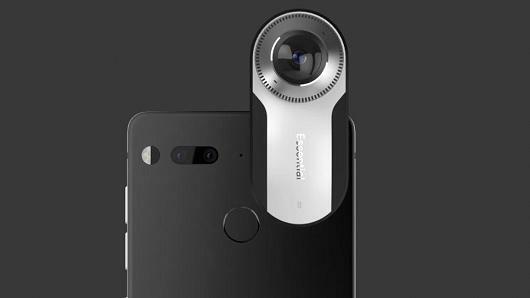 A while ago, the father of Android, Andy Rubin announced his new venture, Essential and gave the world a glimpse of a few of the devices which the company is working on for its first phase. Among the 3 devices showcased, the most hyped was the Essential Phone. Well, this week the phone finally became available for orders. Customers can now head over to Essential’s website to place an order for the phone. The phone will come with 128GB storage as a standard and will support external accessories including that wicked 360-degree camera that was showcased alongside the phone at launch. If you are interested in picking one up for yourself, get your pockets ready for a $749 set back. Search is at the heart of Google. It was what the company launched as, a search engine. It surfaces information instantly within seconds and is a truly empowering feature. I’m sure there’s not one person in the reader community who’s not been impacted by the resourcefulness of Google Search. In developing markets like India, Brazil etc connectivity is known to be a constraint and it’s something which comes in the way of people’s access to a wealth of information. Several companies like Facebook have worked on lite versions of their products for these markets which consume fewer data and now Google is getting on board this train. 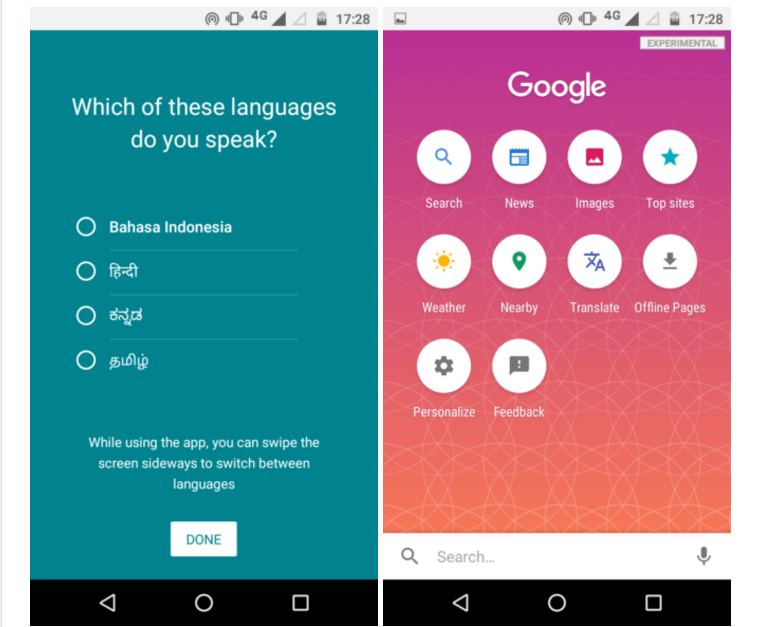 In an attempt to cater to the next billion users, Google is reportedly testing a lite version of the Search app called “Search Lite” and is currently being tested in Indonesia and in some parts of India. The app is catered to users coming online for the first time and adopts a new design for simplifying everything. On first launch the users will be asked to pick a language, the search function will be pretty standard. Some of the new options included in the app are Top Sites and Offline Pages along with the standard options like News and Images. The app will roll out to more developing markets in the coming few weeks. A cracked screen is the worst nightmare for any smartphone users. This nightmare has spawned an entire industry around it, today you can protect your screen for a couple of dollars with a tempered glass screen protector. But imagine a situation where you don’t have to add any extra bulk to your screen to protect it. What if you drop your phone, crack it and the crack repairs itself? Sounds magical right? Well, actually it may soon become a reality. Motorola, the company behind the ShatterShield screens on their Force line of devices has filed a patent for a self-healing screen which will repair cracks. 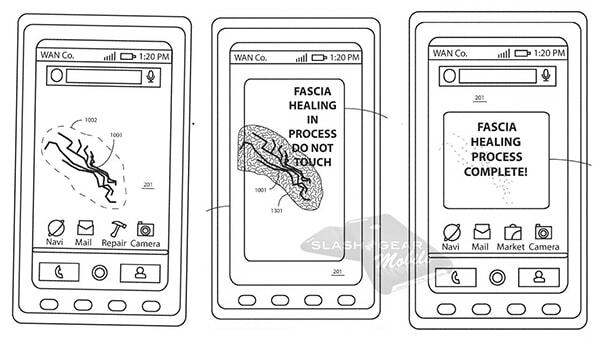 According to the patent, the screen will use a special shape memory polymer integrated with thermal elements within. When a scratch or crack is detected, the thermal element will apply heat to the polymer so that it regains its original shape. This, however, will only reverse the damage to some extent as per speculation. The phone with this technology will be able to detect a damage. Once detected the users will be asked to mark the area of the screen that’s damaged and the healing process will then take over. All of this should be taken with a grain of salt as it’s just a patent which may or may not becomes a reality. 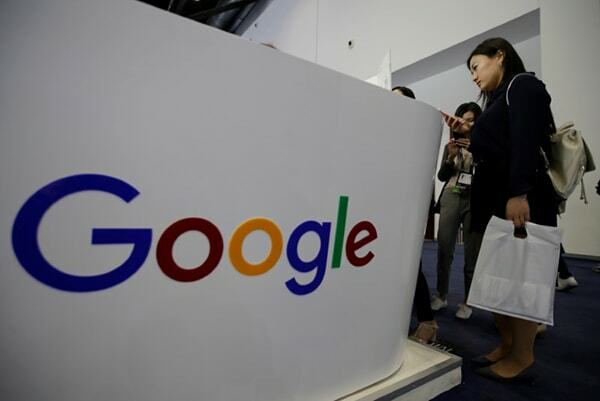 In the race of becoming the leader in AI, Google has acquired yet another AI based startup. This time its AIMatter, the maker of the Fabby app. The startup specializes in computer vision. It’s the branch of AI that lets computers see and understand images like humans do. The startup has both a product and an SDK for processing images, especially on mobile devices. The terms of the acquisition haven’t been made public but what is known is that Fabby will continue to run separately and the employees of AIMatter will join Google. Google isn’t big on the messaging game. The company launched Allo, an AI powered messaging app a year ago and it’s one year of existence the company has scored over 10 million users. One of the features WhatsApp users are fond of is the availability of a web app for the service. Agreed that the phone is still tethered to the web app but it still allows users to access chats from the convenience of their desk. Google is bringing the same feature to Allo to appeal more to users. The web app is available at allo.google.com/web and is currently available only for Android with the iOS version in works. The pairing process with the web app is similar to WhatsApp. 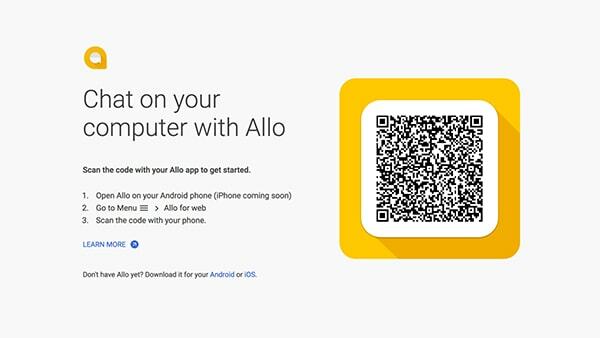 You have to launch the mobile app and find the Allo for web option to scan the QR code on the web app. The web app carries the same design as the mobile version. For the 10 million users this may be a significant feature addition and for the ones not on board this may just lure them in. Recently, the US border security has started investigating the social media profiles of people coming into the United States. This is a huge breach of one’s privacy and Apple is taking a stand against it. 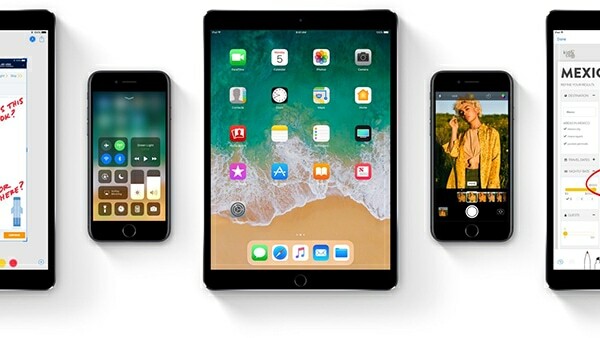 In iOS 11 one of the new features will be the ability to quickly disable Touch ID to avoid cops from forcing you to unlock your device. This may not be a complete solution but it’s definitely gonna add an extra line of defense if you happen to be traveling to the US. That’s it for this week’s news. I will see you all next week!